Christina Aguilera Celebrates Her Freckles with a Makeup-Free Photo as She Gets a New Piercing - Integration Through Media ....! 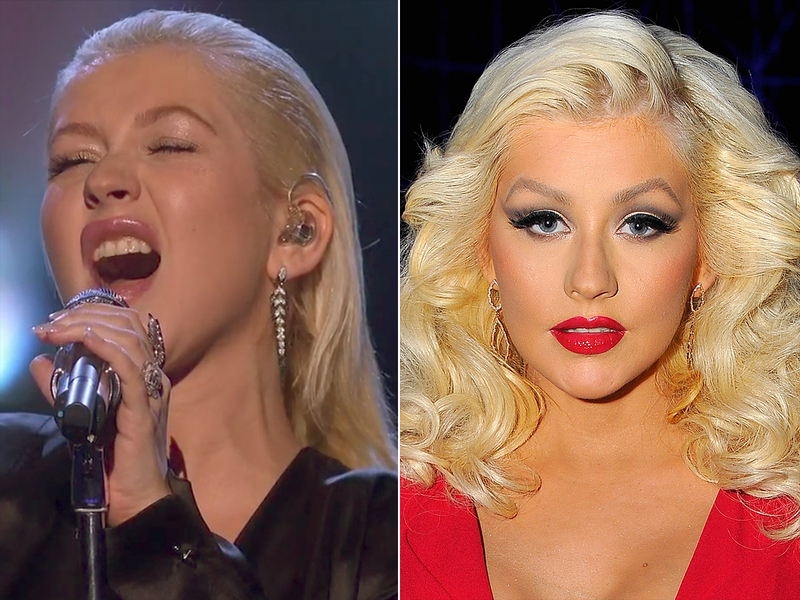 Christina Aguilera is loving her bare skin. On Monday, the “Beautiful” singer, 37, shared a series of makeup-free photos of herself getting new ear piercings on her social media accounts. “Forgot how much I love getting pierced….so euphoric for me…wonder what else I should get done again,” Aguilera tweeted along with a photo. Aguilera shared more snapshots of her piercing on Instagram. In March, the mother of two starred on the cover of Paper Magazine where she took off all her makeup, exposing her freckles. In early April, Aguilera showed off her bare face again while sharing a sweet birthday tribute to fiancé Matthew Rutler, her partner of eight years. “Birthday boy …to a wonderful father, loving man and hardest worker I know,” she wrote, captioning a black and white version of the photo.